Find out who won the 15th Van Cliburn International Piano Competition! The winner of the Nancy Lee and Perry R. Bass Gold Medal and the Van Cliburn Winner’s Cup is YEKWON SUNWOO, 28, South Korea. The silver medalist is Kenneth Broberg, 23, United States. The bronze medalist is Daniel Hsu, 19, United States. Yekwon Sunwoo receives a cash award of $50,000; three years of individualized career management, including U.S. concert tours and, in association with Keynote Artist Management, international concert tours and comprehensive career mentorship program; live recording and recording partnership with Universal Music Group's Decca Gold label; promotional package including press kits, videos, website; and performance attire provided by Neiman Marcus. Kenneth Broberg receives a cash award of $25,000; three years of individualized career management, including U.S. concert tours; live recordings released by Universal Music Group’s Decca Gold label; and a promotional package including press kits, videos, and website. Daniel Hsu receives a cash award of $15,000; three years of individualized career management, including U.S. concert tours; live recordings released by Universal Music Group’s Decca Gold label; and a promotional package including press kits, videos, and website. 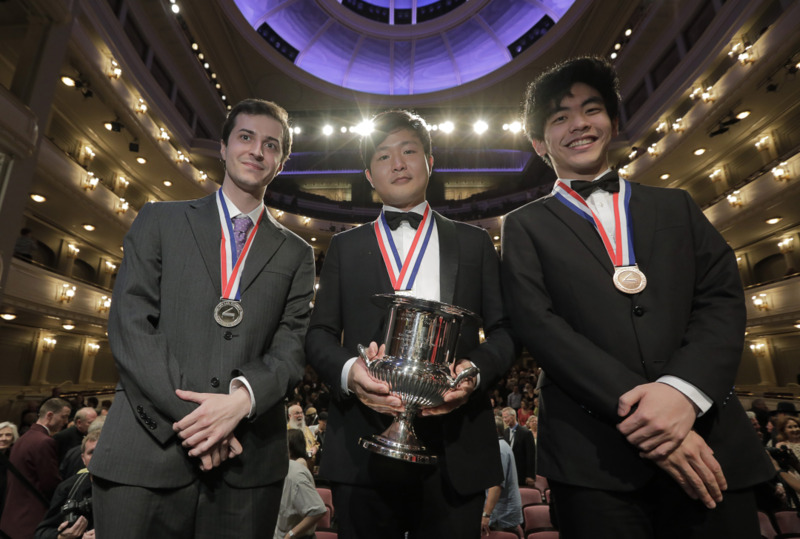 Over the 17 days of the 2017 Competition – which took place May 25-June 10, 2017, at Bass Performance Hall in Fort Worth, Texas – each competitor performed live at Bass Hall before the nine-member jury and hundreds of patrons, as well as to a worldwide audience via the Competition’s live, fully produced webcast.